Uses : The root is the medical part, and receives a portion of its name from the Seneca Indians, with whom it was in high repute as a remedy against snakebites. Senega root is a distinct and persistent stimulant, chiefly influencing the respiratory membranes, but extending its influence to other mucous membranes, to all the secretory organs, the uterus, and the circulation. It promotes a flow of saliva, stimulates expectoration, causes a peculiar irritating sensation in the feces, and proves nauseating (or even emetic and cathartic) in large doses. 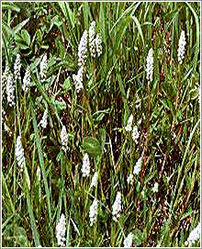 The principal use made of it, is as an expectorant in old coughs, asthma, and respiratory debility, but it is entirely too stimulating to use in recent cases, with inflammation or irritability of the respiratory passages, and is generally best employed when combined with a large excess of relaxing and demulcent. The plant is also thought to have sweat-inducing and diuretic properties. The leaves are used as a tea substitute.